Midlands Rhinos’ inexperienced tailenders did a superb job on the second day of their match against Logan Cup champions Manicaland Mountaineers at Harare Sports Club on Wednesday, their plucky batting keeping their team in the game against all expectations. At 130 for seven, Rhinos had just escaped the follow-on, but then James Bruce, with 40, began the fightback, which was carried on by Trevor Chibvongodze, who finished the day with 39 not out, and the score a greatly improved 223 for nine wickets. Overnight Mountaineers were on 257 for eight wickets, with the solid Foster Mutizwa on 60 and Natsai M’shangwe on nine. M’shangwe, looking for runs as usual, always looked vulnerable, especially against the short ball, but in fact Mutizwa was the first to go. He came down late on an excellent yorker from Tafara Chingwara, and was bowled for 65, which took him all of 194 balls and included seven fours; 276 for nine. Two runs later M’shangwe (21) went for a big hit against Trevor Gwandu, but skyed a catch in the midwicket area to end the innings for 278, leaving Victor Nyauchi not out without having faced a ball. Chingwara, with five wickets for 54, was deservedly the most successful bowler, none of the others taking more than one wicket. Midlands Rhinos reverted to their exhilarating opening partnership of Bothwell Chapungu and Tendai Maruma to open the batting against Tiripano and Nyauchi. Chapungu immediately made his presence felt, going for the bowling with his usual gusto, and after six overs there were 38 runs on the board, of which he had 30, with five fours and a six. Then, however, he flicked a ball from Tiripano down the leg side and was caught by the keeper. Takudzwanashe Kaitano came in next, but scored only a single before edging a ball from Clive Chitumba to the keeper; 42 for two. Maruma was still playing steadily, but the Welsh professional Brad Wadlan looked in good touch from the start. At lunch the score was 77 for two, with Maruma on 29 and Wadlan 12. Without adding to his score after the break, Wadlan drove loosely at a ball from Tiripano outside his off stump and gave a sharp catch to second slip; 81 for three. The innings was now at a critical point, as the acting captain, Prince Masvaure, came in, with Neville Madziva the only experienced player left after him. The two batsmen seemed very aware of this as they now batted with great caution. The team 100 came up after 29 overs, and then Maruma opened his shoulders and drove Chitumba for two successive fours on the off side to bring up his fifty off 84 balls. In the next over, though, he drove loosely at a ball outside the off stump from Nyauchi and edged it to the keeper for 51; 113 for four, and the inexperienced lower order was exposed. Masvaure never looked comfortable, and his habit of moving too far across his stumps brought several confident appeals and finally his wicket, as Nyauchi claimed him lbw for 11. At 115 for five the innings was at the crossroads, with Madziva coming in now as the last experienced player in the team. Madziva scored six before Nyauchi broke through and bowled him; 123 for six. Six were needed to save the possibility of a follow-on, and it took Bruce and Gwandu seven overs to get there, all the runs being scored by Bruce. 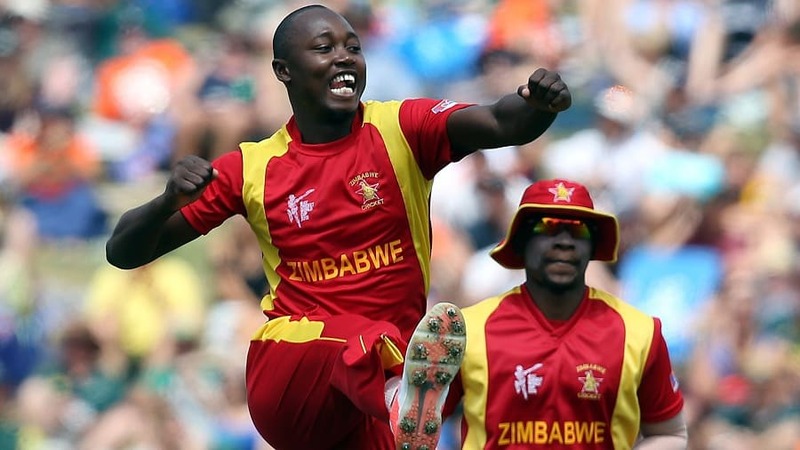 At 130 Gwandu was caught at silly point off Wellington Masakadza, still without scoring off 19 balls. Tea soon followed, with the score at 131 for seven, Bruce on nine and Trevor Chibvongodze yet to score. Belatedly M’shangwe came on to bowl for the first time, and was so rusty that he produced two juicy long hops in his first three balls, that even Bruce found he could hit for six and four respectively. Bruce was becoming more confident in his strokeplay now, though Chibvongodze was still committed to total defence, but the runs were coming and Mountaineers could not break through. When he reached 40, though, Bruce pulled another long hop from M’shangwe, but this time miscued and was caught deep at midwicket; the more than useful partnership was over at 173 for eight. Chibvongodze now began to find his strokes and, with Jameson Chikowero taking on the defensive role, the 200 came up, a most unexpected bonus after seven wickets had gone down for 130 with only inexperienced tyros left to bat. Just before the close Chikowero was trapped lbw by the now occasional leg-spinner Timycen Maruma for 10, after another valuable partnership of 49 for the ninth wicket. The last man, Chingwara, survived the day, and Chibvongodze finished unbeaten with 39. At 223 for nine, Midlands Rhinos are still 55 runs behind the Mountaineers’ first-innings total, but they are not out of the match yet, thanks to their gallant newcomers.